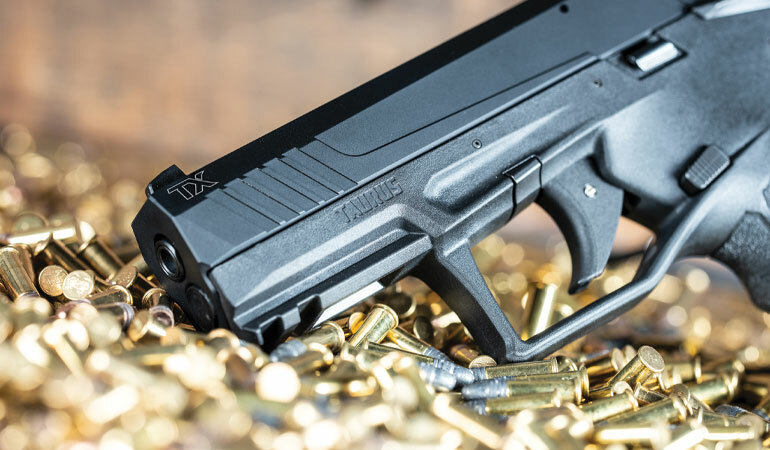 Taurus adds to the .22LR market with the all-new Taurus TX22. The TX22 is a.22LR semi-auto that runs like a custom-tuned pistol but comes at a price point that puts a competition-level handgun squarely in the budget of the mainstream shooter. The "human factor" was integrated into every aspect of the TX22 development process, allowing ergonomics to set the design parameters. The result is a full-size polymer frame handgun that is functionally efficient for a broad range of shooter sizes and shooting styles. 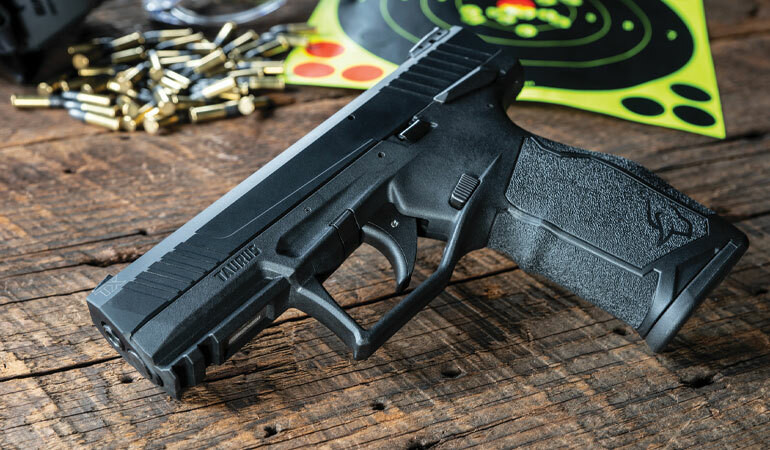 The Taurus Pittman Trigger System (PTS) utilizes a trigger reset that short and spring-assisted, allowing the shooter to deliver quick follow-up shots while maintaining good sight alignment. The audible trigger reset lets the shooter know once the sear is re-engaged and the TX22 is ready to fire the next round. 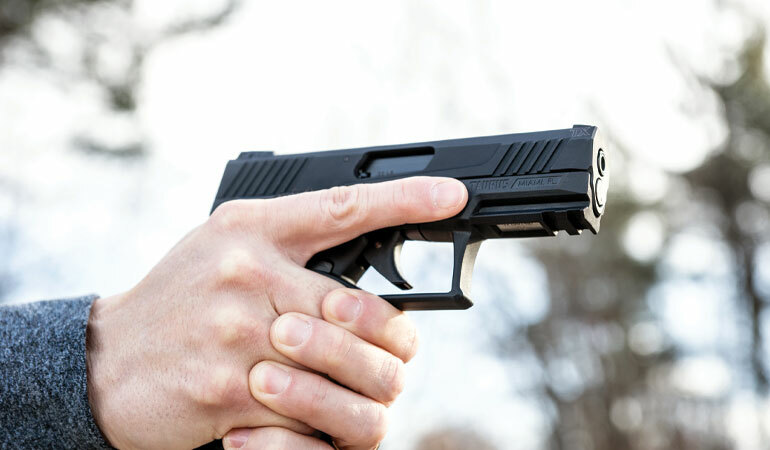 The TX22 weighs 17.3 ounces, in part to a 7075 aluminum slide that includes front and rear serrations and features a hard-coat black anodized finish. The grip and smooth operation combined with the .22LR chambering makes for a pistol that won't wear you out during extended target sessions. 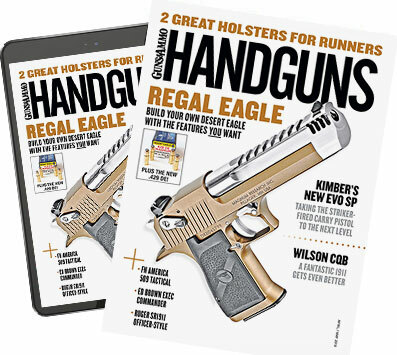 This pistol meets the expectations of competitive-level shooters while providing the ideal platform for smaller-framed and beginning shooters—doing so at a viable price point that fits every budget. 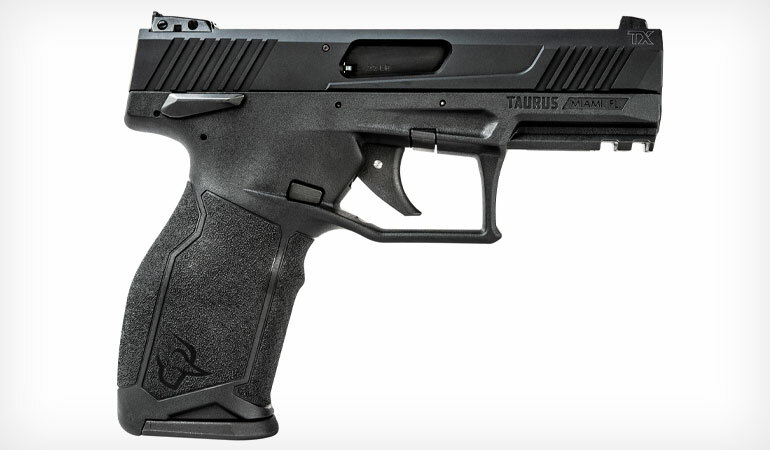 To learn more about Taurus firearms, click here.